In response to this hard-line position, Representative Earl Blumenauer, the founder of the Congressional Cannabis Caucus, has introduced the Maintaining Appropriate Protections For Legal Entry Act (HR 7275), or The MAPLE Act for short. This legislation provides protections for individuals whose actions are “lawful in the State, Indian Tribe, or foreign country in which the conduct occurred” or that was “subsequently made lawful under the law or regulation of such jurisdiction,” in regard to the emerging legal status of marijuana in the United States and internationally. You can send a message to your Representative in support of The Maple Act by clicking here. There have already been examples of the United State’s punitive border policy needlessly wrecking lives. 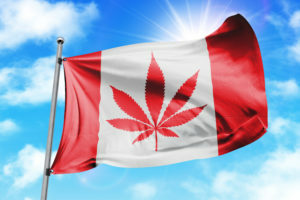 In one such example, an individual received a lifetime ban from entering the United States on November 14th simply because he was an investor in a legal Canadian marijuana business. It is crucial that the United States recognizes the rights of both our citizens and our international allies to be able to travel freely between our two nations, and to reform federal border policies to acknowledge this new reality. Click here to tell your lawmaker to support The Maple Act.